If you are a freelancer or contractor, the chances are you are well versed in the difficulties of the UK’s tax system. Those who are not in conventional employment are treated harshly by HMRC, and it can sometimes seem as if the Revenue is trying to make life as difficult as possible for these individuals. Umbrella companies are one potential way in which your tax affairs can be simplified. They provide contractors and freelancers with an easy way to deal with payment and tax deductions, leaving you free to concentrate on your work. An umbrella company takes the place of an employer, in order to simplify a contractor’s tax arrangements. Rather than raising invoices to a client yourself, the process is conducted by the umbrella company. They will also deduct tax from your pay – and, hopefully, offset your deductible expenses in order to ensure that your tax liability is as low as possible. The umbrella company raises an invoice with your client. The client pays the invoice. The umbrella company makes the relevant deductions, including PAYE and their fee. The umbrella company pays you, and sends a payslip. There is a range of potential benefits associated with the use of an umbrella company. The precise advantages to you will depend on your situation. Simplification is perhaps the most common reason for the use of an umbrella company. Under an arrangement of this sort you no longer have to deal with things like Self Assessment tax – and you therefore no longer have the worry of a big tax bill twice a year. 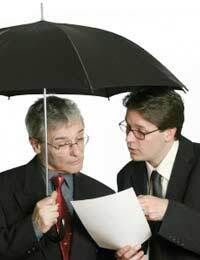 Umbrella companies can also help you to claim all the relevant deductions to which you are entitled. All too frequently, contractors and freelancers end up paying too much tax – simply because they don’t know what they can claim for. A good umbrella company will help you ensure you are paying the right amount of tax, and no more. It is also important to understand that once you are an employee of the umbrella company, you will be entitled to all of the benefits that full-time employment brings. Depending on the terms offered by your chosen umbrella company, this might even include holiday pay, which will accrue when you are working. There are, however, a few significant potential drawbacks too. To begin with, you should understand that using an umbrella company can lengthen the time it takes you to get paid. The company has to raise an invoice – and then, when the invoice has been paid, the money has to get to you. This can easily add days to the total process. Similarly, you should note that umbrella companies are not free. You will need to pay for the service – and the charge can vary significantly. Of course, many freelancers and contractors consider this to be a price worth paying in exchange for simplified affairs and, perhaps most important, to avoid the panic of a tax bill. Finally, it is important to understand the relationship between umbrella companies and IR35. Umbrella arrangements originally materialised in response to IR35, a much-derided piece of tax legislation affecting contractors. It is vital to note that your status with regard to IR35 depends not on your relationship with your umbrella company, but on the relationship with the client. The only way to remain outside IR35 is to ensure that an IR35-compliant contract is drafted. If you are in any doubt about your IR35 requirements you should seek independent tax advice. Choosing an umbrella company can be a difficult task. There is a huge number of options on offer, and there can be a significant difference in the service provided. To begin with you should ensure that the contract between you and the umbrella company is well written. For example, it should allow you to claim travel expenses by ensuring that your clients’ offices are classed as temporary workplaces for tax purposes. Again, if you are in any doubt about this you should seek independent advice before making a decision. Aside from this, perhaps the two most important considerations are cost and speed of payment. It is obviously preferable to have as low-cost an umbrella solution as possible – but you should ensure that you are not sacrificing quality in order to save a few pounds a month. Payment speed, meanwhile, can vary significantly between umbrella companies. If you need to be sure that you will be paid immediately, go for an umbrella company that uses the Faster Payment Service. Many firms will guarantee that the money will hit your account on the day they receive it. Again, as with all tax situations, if you are in any doubt you should seek independent advice before making a decision.